Sri Lanka is a wonderful tourist destination that has always lured tourists from all over the world with its rich heritage, enticing beaches, diverse wildlife, and exquisite landscapes. The country is miraculous owing to the fact that it presents an abundance of physical diversity in a compact bundle. First-time visitors are easily captivated by the pearl-shaped island's uniqueness. Arrive by () at (). Please clear immigration & visa formalities, collect your baggage and proceed to the arrival lounge through the green channel if you do not have goods to be declared to customs. The Green Holiday Centre Representative will page you by your name. Thereafter you will be assisted to the Car park / Coach Park to begin you journey as per the booked itinerary with the English Speaking Guide Our local Representative will meet you. Thereafter you will be assisted to the Coach Park to begin your journey as per the itinerary. Leave to Anuradhapura via Chilaw Visit Munneswaram, Manavari temples. Dinner and overnight stay at Anuradhapura. Early breakfast and leave to Kandy. En route visit Dambulla Rock Temple. Golden Budha Statue. Dambulla cave temple also known as the Golden Temple of Dambulla is a World Heritage Site in Sri Lanka, situated in the central part of the country. 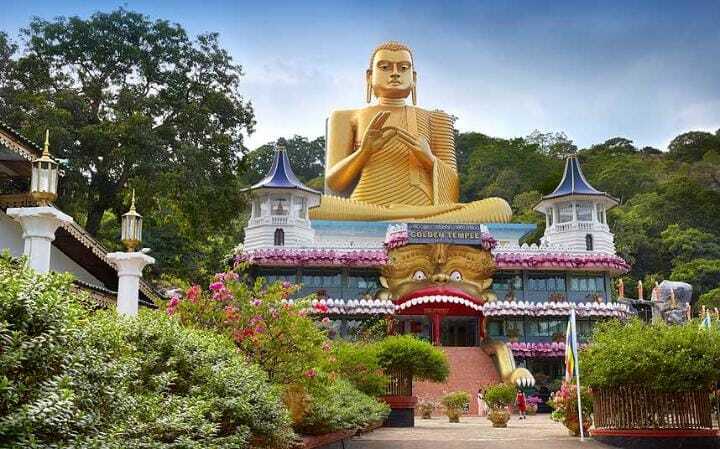 This site is situated 148 km east of Colombo and 72 km north of Kandy.. Kandy The hill capital, venue of the annual Perahera. The last stronghold of the Sinhala Kings was finally ceded to the British in 1815. Kandy is an example of the Buddhism's influence in Sri Lanka today. Temple's shrines and monasteries keeping alive Buddhist traditions are everywhere. After lunch visit Temple of Sacred Tooth Relic. 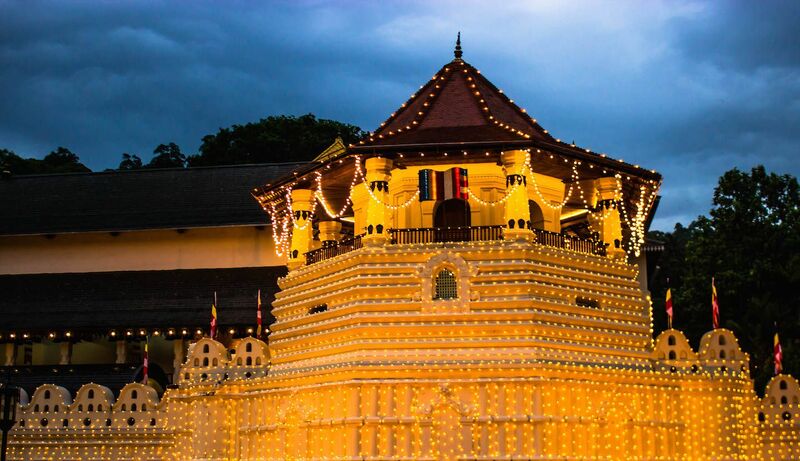 Temple of the Sacred Tooth Relic Kandy - the hill capital, venue of the annual Perahera. The last stronghold of the Sinhala Kings was finally ceded to the British in 1815. Kandy is an example of the Buddhism's influence in Sri Lanka today. Temple's shrines and monasteries keeping alive Buddhist traditions are everywhere. Dinner and overnight stay at Kandy . After breakfast proceed to Nuwara Eliya Afterward proceed to Ramboda and Visit Hanuman Temple. 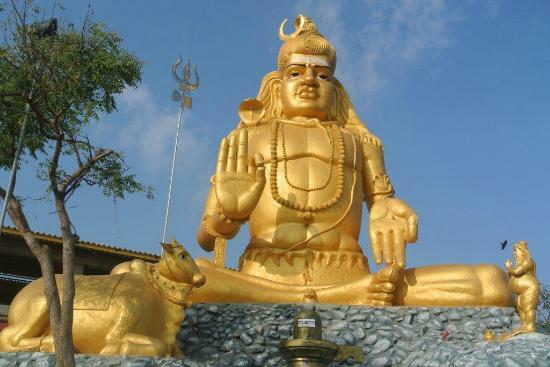 Sri Baktha Hanuman Temple, According to the ancient stories, Ramboda is a area, where the forces of Rama's gather to fight against King Ravana. 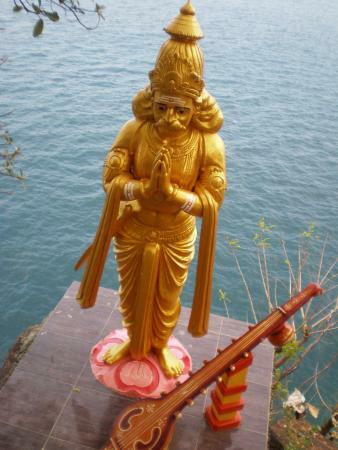 This temple was built by the Chinmaya mission of Sri Lanka and dedicated to Hanuman. 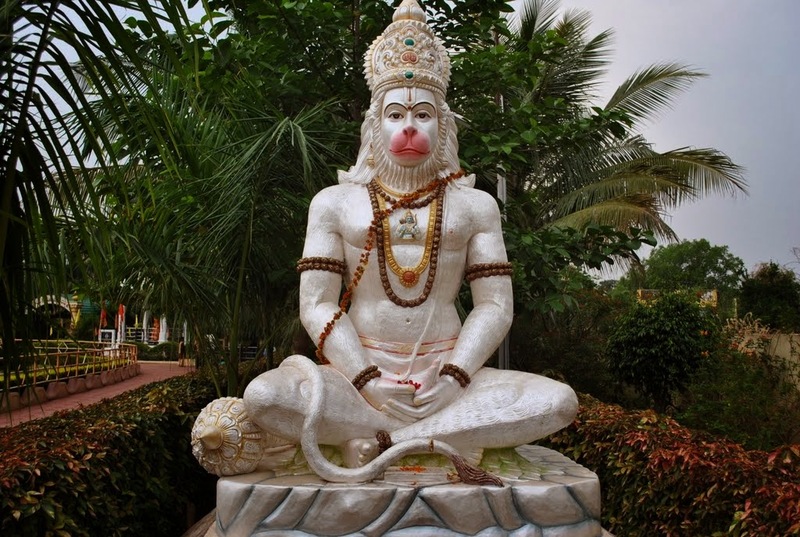 This temple houses for 16 feel height statue of Hanuman. Seetha Amman Temple The kidnapping of Sita by Ravana (was King of Lanka) - meant that Ravana had to hide Sita in several locations. 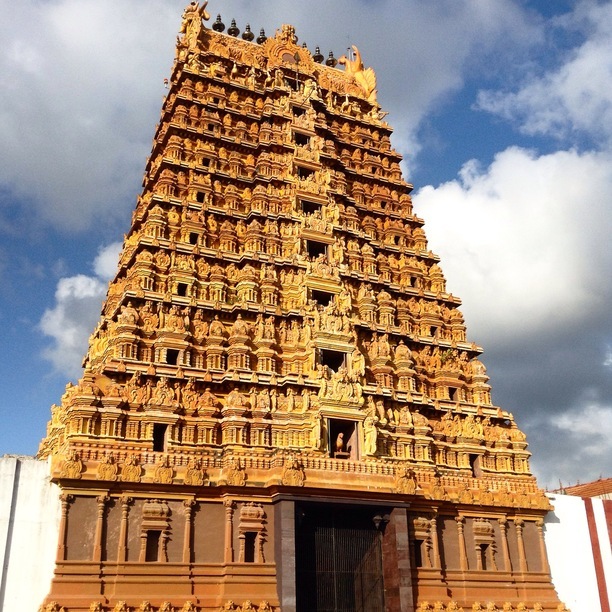 The Seetha Amman temple was named after the wife, Sitadevi, of Lord Rama. The structure was built on one of the exact sites where the demon king Ravana held Sita as his captive, in the Ashoka Forests of the region. It is believed that the Lordess used the stream by the temple and meditated by the rocks along the stream. Kataragama temple -In Kataragama, Sri Lanka, is a Hindu and Buddhist temple complex dedicated to Skanda-Murukan also known as Kataragama deviyo. It is one of the few religious sites in Sri Lanka that is venerated by the majoritySinhala Buddhists, minority Hindu Tamils, Muslims and the indigenous Vedda people.It is a collection of modest shrines, of which the one dedicated to Skanda-Murukan also known as Kataragama deviyo is the most important. For most of the past millennia, it was a jungle shrine very difficult to access, but currently is accessible by an all-weather road. Almost all the shrines— and the nearby Kiri Vehera— are managed by Buddhists, apart from shrines dedicated to Tevayani, Shiva (Siva) and the Muslim mosque. Up until the 1940s a majority of the pilgrims were TamilHindus from Sri Lanka and South India, who undertook an arduous pilgrimage on foot. 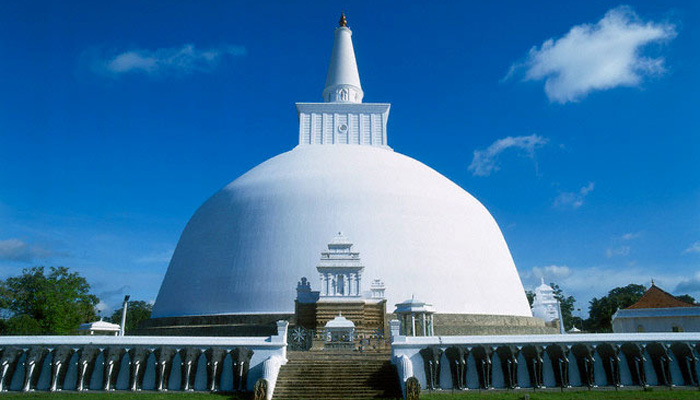 Since then most pilgrims tend to be Sinhala Buddhists, and cult of Kataragama deviyo has become the most popular amongst the Sinhalese people. Dinner and overnight stay at Katharagama. After breakfast leave to Colombo. Proceed to City tour & Shopping in Colombo Colombo - a drive through the city taking you to the busy commercial areas as well as the tree-lined residential, Cinnamon Gardens. Visit Fort, the former British administrative center and military garrison, Sea Street - the Goldsmith’s quarters in the heart of Pettah, the Bazaar area, where is also a Hindu Temple with elaborate stone carvings, and the Dutch Church of Wolfendhal dating back to 1749. Also visit the BMICH, see the replica of Avukana Buddha and Independence Square. Levae to Airport for Departure. Pay 10548 now to book this package. Taxes Additional.